Indiana Balloonist Wins Great Ballooning Race from Aero-News Network | Pilot From French Lick, Indiana Takes Kentucky Derby Festival Race An Indiana pilot took first place Saturday at the Kentucky Derby Festival's 41st annual U.S. Bank Great Balloon Race. Jerry Copas dropped his bag full of grass seed from his French Lick Resort Balloon closest to an "X" on the ground to claim the title. U.K Pilot Flying WWI Replica Airplane Fatally Injured from Aero-News Network | One Of Several Replica Vintage Airplanes Practicing For An Aerial Display A replica of a WWI era Fokker airplane went down Saturday at the Army Aviation Center in Middle Wallop, U.K., during practice for a aerial display. The pilot, the only person on board the aircraft, was fatally injured in the accident. We recently learned that the Blue Angels, the USAF Thunderbirds, the Golden Knights and all the Military Demo Teams have cancelled their entire Airshow season due to the Sequester. 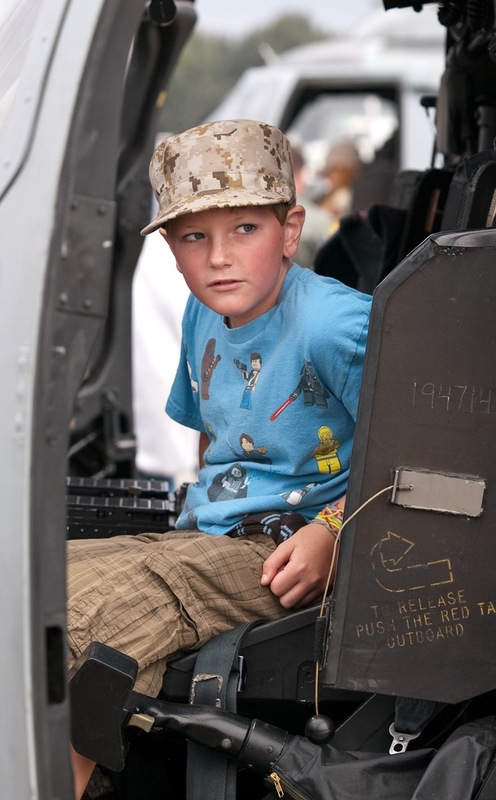 The Military will not take part in Airshows in any way – not static displays, not flying, nothing. This information has sent the Airshow Industry back to their drawing boards to see how they can move on from here. The Military Demonstration Teams are an enormous draw for these events. Military Teams can increase attendance by up to 30% while bringing many attendees from long distances which increase tourism for their cities. The draw for the communities is estimated to be a minimum of $2M in tourism, hotels, restaurants, etc. We can point to what Fleet Week is like in San Francisco with the Blue Angels. The entire town (except for the haters) comes out for the waterside party. The streets are crowded, the hotels and restaurants are full – and now… it’s also cancelled. Christine Falvey, spokeswoman for San Francisco’s Mayor Ed Lee, said last month, Fleet Week attracts over 1 million spectators and its loss could have a major economic impact on San Francisco. Those are the hard numbers, but let’s look at the less tangible impact. The original mission of these teams was always based in recruiting. However, this mission has grown to include a sense of National Pride. During these amazing performances, most people feel a sense of Patriotism. There is rarely a dry eye in the house while watching an impressive fly- over at an athletic event – chests swelling with pride for our country during our National Anthem. What does that mean to the local Airshows? In a recent poll taken by AVWeb, an internet aviation news service, only 7 percent of the respondents said, No Jet Teams, No Attendance. The rest were more positive, 54% saying they would attend with or without the teams, 24% said it would dependent on the quality of the rest of the show. So, nearly 80% are willing to go to a show, if we make it creative, interesting and exciting enough without the jets. Some Airshows decided to just cancel the event this year and either revamp or hope for better times in 2014. Other shows have gotten out their thinking caps and decided to use creativity to bring the crowds back this year. 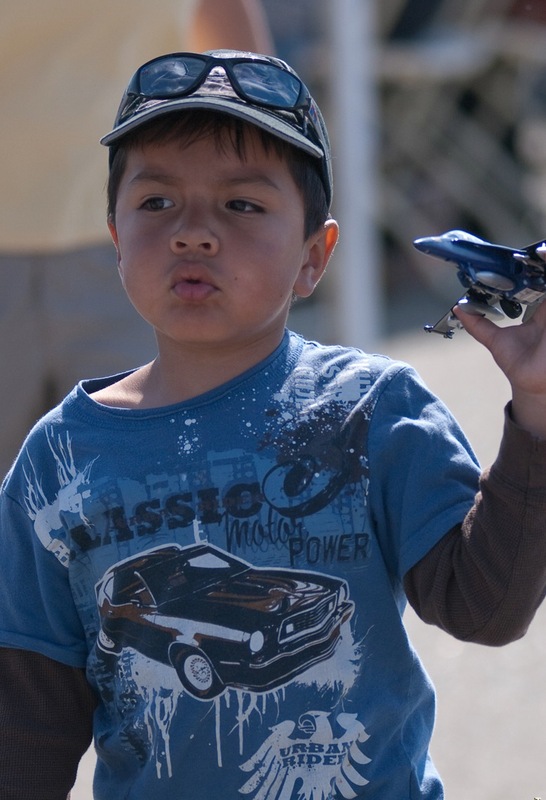 What does this all mean to your favorite Civilian Airshow Performers? Civilian Airshow Performers can be categorized into three distinct groups. The first group would be the highly sponsored acts such as Sean D. Tucker sponsored by Oracle and others, Kirby Chambliss flying for Red Bull and Michael Goulian for Goodyear Aviation, to name a few. This group has a contract with their sponsors that can include what Airshows and Events they need to fly as well as other Corporate Activities. They will likely not be impacted too badly this year, but if this austerity program continues, we may see a fall in sponsorship of these types of acts in the future. Performers who have a full time job and fly airshows on weekends are in the next group. Many of the members of this group fly for an airline, which allows them additional flexibility – but there are also 9-5’ers who fly a desk Monday – Friday and then pack up and head out to their local show. Again, this group will survive this year – but their future may be in jeopardy also. The final group consists of Performers who live day in and day out on their Airshow jobs. This group will be heavily impacted. In speaking with several of the Performers, some have seen 30-50% of their shows cancelled for this year. This could be devastating to Performers in all groups. How can Performers become more creative to expand their show base? In speaking with Skip Stewart, he mentioned expanding his geographical footprint. This year alone, Skip will fly in 6 different countries including many locations in Latin America and the Caribbean. He will be joined by Kyle Franklin at their first show ever in California (Minter Field, May 11-12). While this means being away from home for longer periods of time, he feels it is worth it to bring his style of flying to more people. I applaud his creativity and his tenacity. What should Airshows do to survive? As Debbie Mitchell mentioned, creativity, marketing and sponsorship will be keystones in the future. Darcy Brewer, Executive Director at California Capital Airshow, agrees and takes it further. Neither snow nor rain nor heat nor gloom…not even federal budget restrictions will stop the 2013 California Capital Airshow from performing for the loyal and eager fans of the Sacramento region (and far beyond) this October 5-6 at Mather Airport. 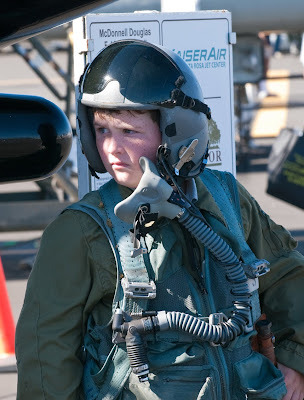 I encourage everyone to please take a weekend drive with your family this summer and support an industry that needs you by attending an airshow or two. By doing so, you will show these dedicated teams and their armies of volunteers how much you appreciate their tireless commitment regardless of what’s going on in Washington. Thank you, Darcy. I couldn't have said it better myself. So, I’ll let her words finish off this column. Hopefully, I’ll see all of you at an Airshow or two this season. Special thanks to Bruce Croft for his excellent photography. These pictures were taken at Airshows around the country and are meant to show the importance of Airshows to our next generation. Exclusive visit in France with Ramex Delta! Ramex Delta Tactical Display Team, from France, may not be a very familiar name in most places in the world, but to see them fly in their Mirage 2000N is fun: if you like lots of noise and fast flying jets! They also a superb bunch of guys and are a great host! 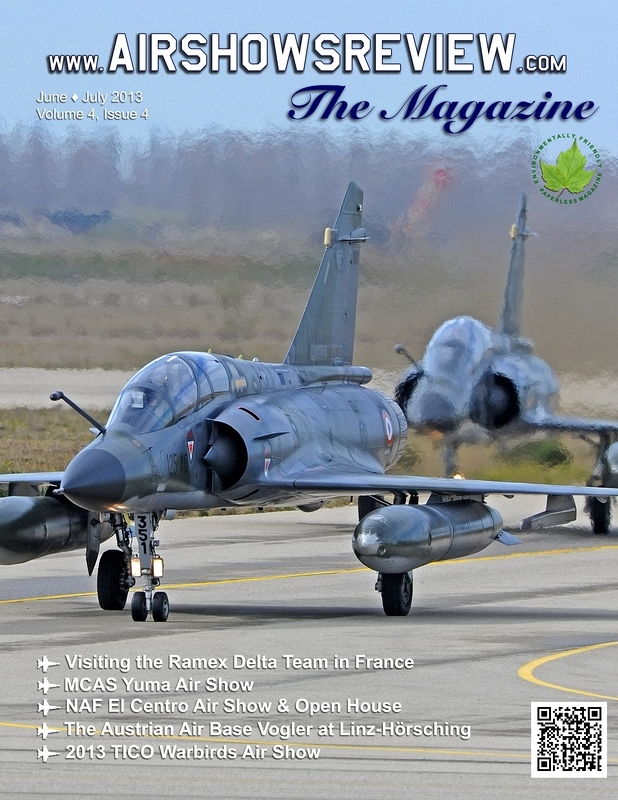 You can read about them and about our exclusive visit to their home base at Base aérienne 125 Istres – Le Tubé "Sous-lieutenant Charles Monier" France, in the latest issue of The Magazine by AirShowsReview! Download your FREE copy today! Six P-38s at Airshow!!! 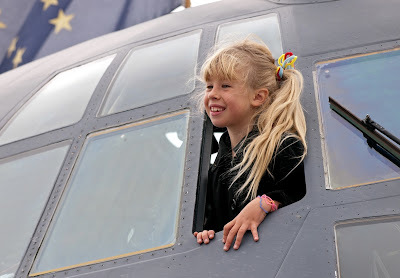 from Planes Of Fame News | SIX P-38s AT THE 2013 PLANES OF FAME AIR SHOW!!! Fly In for Autism Charity Event - Illinois Times - Illinois Times | Fly In for Autism Charity Event. Saturday June 29,2013. Holmes Airstrip. 8113 N. Pawnee Rd. Category: Bulletin Board. R/C airplane and helicopter flying and demos. Hands on flight of R/C airplane with an instructor. Raffle tickets for a variety of items. "Flying Catfish" UCAP #325 from Uncontrolled Airspace: General Aviation Podcast | Guest Dan Johnson. From the deck of Sun 'n Fun Radio Jeb, Dave, and Jack wrap up the 2013 fly-in. Uncontrolled Airspace General Aviation Podcast. Recorded April 14, 2013. Mc Donnell Douglas YC-15 (part 3) - The Lexicans | ...as part of further operational demonstrations were conducted at China Lake, CA using dummies for static-line drop tests. Cargo drops with 5000lb to 20,000lb were also conducted from an altitude of about 4750ft. The heaviest drop was a 28,243lb load of CDS containers. The primary result of the drop tests found the troop door was too narrow. Major Cache of Ryan PT-22 Parts to Donated APM from Antique Airfield News | Thanks to the generosity of Mike & Margaret Wilson of Cedar Rapids, IA, the APM has received a large donation of Ryan PT-22 projects and parts. 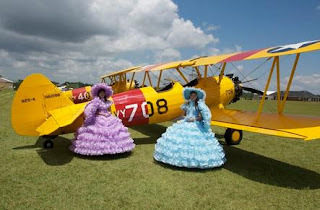 PFLUGERVILLE, TX – April 30,2013 – In a joint announcement following the Sun ‘n Fun Expo, LiveAirshowTV, LLC (LiveAirShowTV), Pilot Magazine, LLC (PilotMag), and Air & Space Television (A&S Media Group LLC), have agreed to a strategic alliance designed to further position them as leaders in content creation and program distribution. 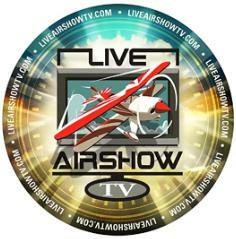 LiveAirShowTV, founded by Jeff Lee, is a multi-platform aerospace media production group. 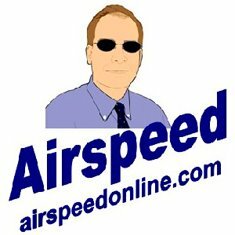 With unique relationships and insider access, the company has provided live coverage as well as personality driven news and video features from North American aviation events via its LiveAirShowTV.com website. LiveAirShowTV along with educational & entertainment partners are also developing air & space themed transmedia opportunities to inspire a new generation of aviation fans. “As we travel the country to aviation events and airshows, we see first hand the hunger and excitement people have for aviation media. 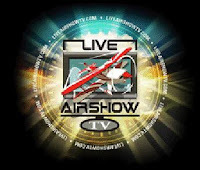 Since our founding, LiveAirShowTV’s goal has been to create an ever-expanding audience of those people who are passionate about flight,” comments Jeff Lee. “Since we first met the principals behind Air & Space Television, we knew assisting them in launching the network would prove a benefit to us, them and the world of aviation. Promoting aeronautics to as broad an audience as possible has always been the driving force behind PilotMag and we are thrilled to step into this strategic alliance,” says Pilot Magazine COO Jeff Mattoon. A&S Media Group, founded by Phillip Hurst, is creating a dedicated multi-platform TV channel devoted exclusively to aviation and space. Hurst and television and cable industry insider George Greenberg, have worked diligently to create a channel devoted to the millions of global aviation enthusiasts. A&S Media Group principals have been instrumental in the successful launch of five niche television programming services. “We are enthused to combine forces with such respected and dedicated content creators as PilotMag and Live Airshow TV. As we move forward in developing the network, their proficiencies within their respective media specialties will serve the whole well,” offers Hurst. Since 2008, PilotMag has established itself as a true industry insider and ally to the people and organizations within aviation and aerospace, delivering content via an industry-leading print magazine, website and mobile device applications. “As a natural progression of our aviation media products and brand, we are currently in development of three aviation-based television series, which makes this strategic alliance so potent. 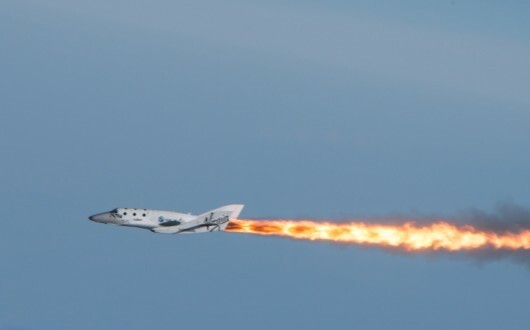 It’s in our mutual vested interest to assist Air & Space Television in their launch, providing original programming to feed the demand for high-quality, highly entertaining content,” says Brad Irwin, CEO of Pilot Magazine, LLC. Production for The Restorers has resumed! In 2010 filming began on the groundbreaking aviation series. This month Cleveland-based Hemlock Films began filming new stories for season one, starting with the fine folks at the WWII Airborne Demonstration Team. While filming has begun, we can always use some help. 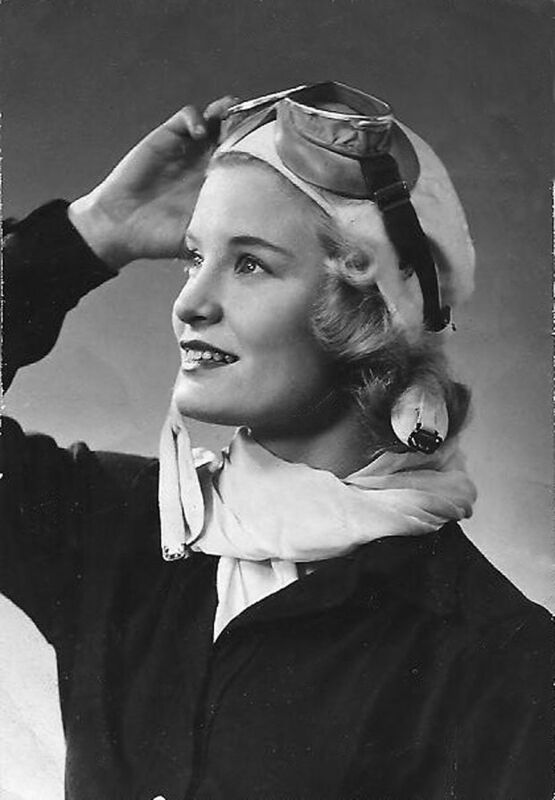 If you know of a person, group or aircraft with an interesting tale, let us know about it! Contact us and we may include the story in our show. WWII Paratrooper William Guarnere during filming of The Restorers. Guarnere served with the celebrated 101st, 506 PIR, 2nd Battalion, Easy Company. on Chalan Pale Arnold Road. A "Celebration of Life" Commemorative Service for Col. Phil Newman will be held at 11:30 a.m. on Saturday, May 4, 2013, at the Wings of Dreams Aviation Museum, Keystone Heights Airport. Col. Newman was a WWII B-17 pilot, who served in the European Theater of Combat (Italy) in 15th Air Force, 99th Bomb Group and 347 Bomb Squadron. For many years, he was the spokesperson for the Decrepit Birdman, a group of local combat airmen, and active in many veterans organizations in the Gainesville area. But his passion was teaching WWII history in classrooms of a multi-county area. 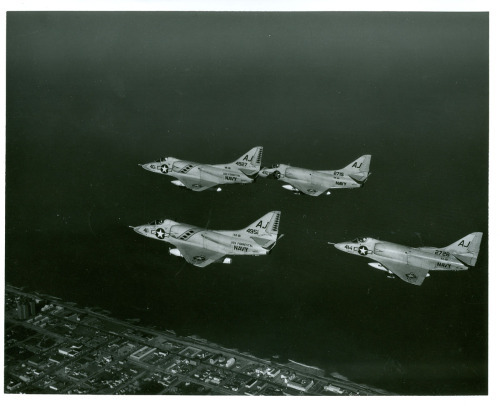 Col. Newman was an avid supporter of Wings of Dreams and the annual Wings of Dreams Air Shows. In recent years, he donated his personal memorabilia, WWII keepsakes and artifacts for display. We dedicate our museum reopening to the memory of Phil Newman. Great fuel prices at Keystone Airport! Space Shuttle External Tank on the St. Johns River in Jacksonville, heading to its new home. Helping preserve the history of America's space program. Planes of Fame - Media Flight - YouTube | on 24 April in Chino in preperation for the Planes of Fame airshow Lightning Strikes Chino, Planes of Fame had a media flight. Here's the vid from that flight. For all the details, you'll have to head to the blog posting http://bit.ly/183im4l for all the details. Family of WWII Flying Tiger to gather for memorial service at McConnell - Kansas.com | When a Kansan who flew World War II combat missions with the famed Flying Tigers died in November, there wasn't time for a family scattered across the country to gather to honor their hero. Podcast: Trade-A-Plane's Global Plan -- 20 Years Exhibiting at Aero from AVWeb Podcast - Podcast | If everyone on the planet knows what Trade-A-Plane is, there's a reason for that. Long before it became fashionable to have a global business plan, Trade-A-Plane had been exhibiting at shows all over the world. In this podcast, Trade-A-Plane's Cosby Stone tells AVweb the company has been coming to Germany since the day the show started more than 20 years ago. 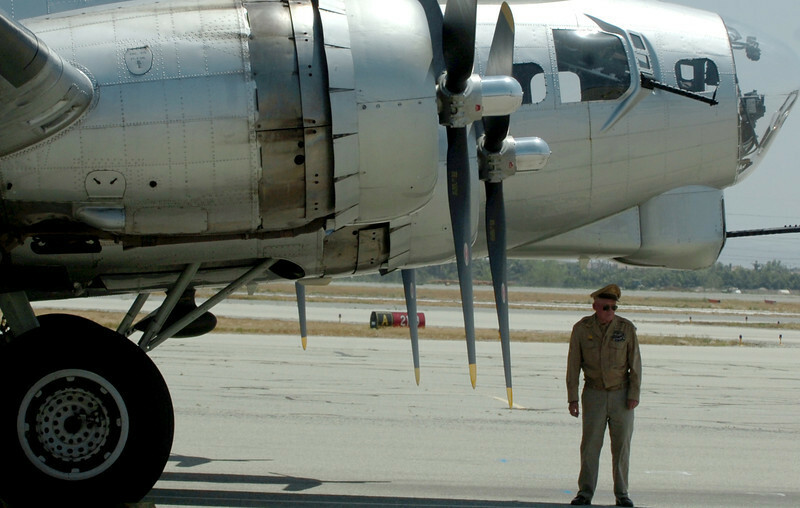 WWII planes stop by Palm Springs in Wings of Freedom Tour - The Desert Sun | Witchcraft, and two other rare flying warbirds including a P-51C Mustang and B-17 Flying Fortress, are on display for tours and rides until noon on Wednesday. The trio are part of an annual national tour of warbirds put together by The Collings Foundation. 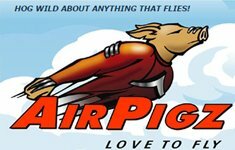 Podcast: In-Flight Recharging for an Electric Airplane from AVWeb Podcast - Podcast | Chip Yates of Flight of the Century, who set an unofficial speed record last year in an electric-powered Long-EZ, is now working on a mid-air recharging system for the aircraft, which he plans to test prior to appearing at EAA AirVenture later this summer. He spoke with AVweb's Mary Grady about his plans at the CAFE Electric Airplane Symposium in Santa Rosa, California on Friday.